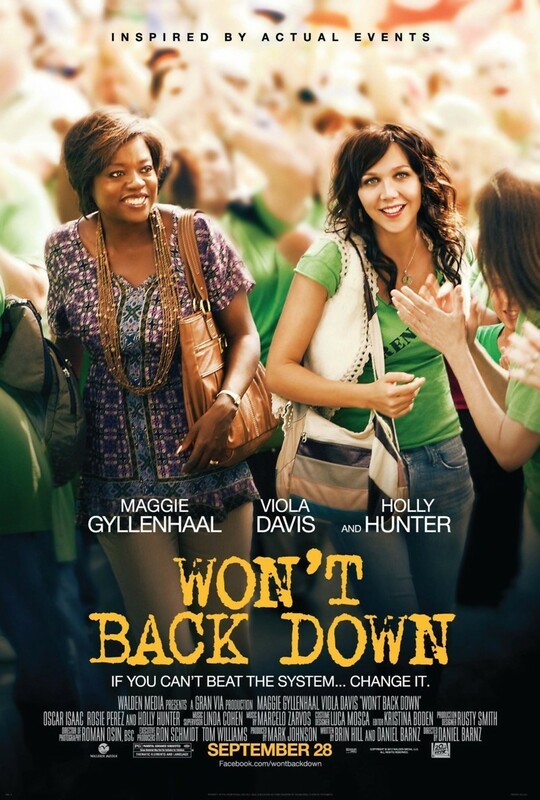 Won't Back Down DVD and Blu-ray release date was set for January 15, 2013. Two mothers, Jamie and Nora, are sick and tired of their kids failing in their inner city school and decide to do something about it. The school has become a place where kids do what they want and the two women decide it is time that the school starts teaching the kids instead of just babysitting them. Unfortunately, they must deal with the anger of the school's staff over what the staff sees as a condemnation of their work and a group of apathetic parents who believe the system is broken beyond all hope.